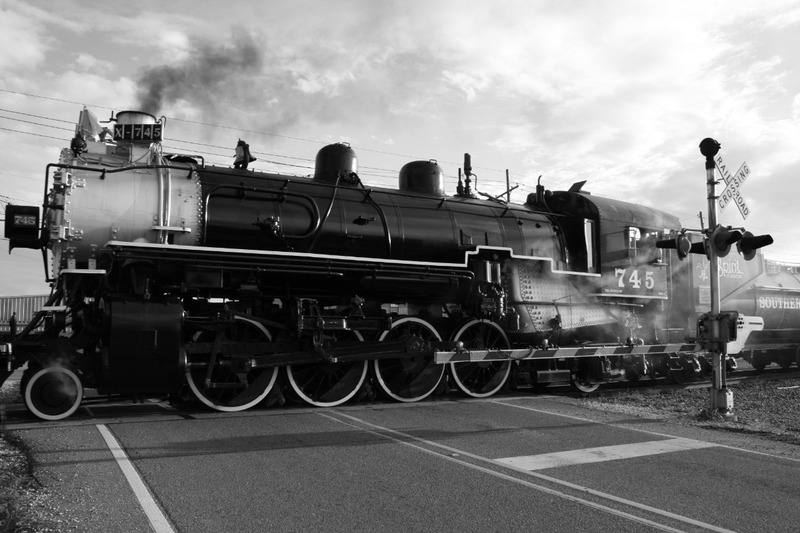 official Tricentennial event…historic Southern Pacific Steam locomotive #745 (SP 745) will relive the past when she pulls a freight train on the New Orleans and Gulf Coast (NOGC) Railroad. NOGC route parallels Louisiana State Highway 23 for nearly the entire route and includes a bit of street running on Madison Street in Gretna. public. Recommended viewing areas will be announced later and we ask that you please respect private property. This is a freight only trip so no passengers will be on board. The exact date has not been set and that’s where you, the rail enthusiast will need to get involved. We need to raise $10,000 to make it all happen. As an extra added bonus, any money raised beyond the cost of this event will go into 745’s flue fund as the old girl's boiler must be rebuilt next year as mandated by the Federal Railroad Administration (FRA). There is still time to make that all important donation to help the Louisiana Steam Train Association defray the enormous cost of this freight run. Many thousands of you have seen our post on Facebook and expressed your excitement about this rare event. So think about it! If each one of you turns that excitement about our special steam freight excursion into a small (or LARGE) donation on our GoFundMe page...we would have more than enough money to pay for this once in a lifetime railroad event. AND...with any extra money above and beyond the cost of this event, we would be well on our way toward the cost of rebuilding SP 745’s boiler to keep the old girl steaming for years to come. There is still time to make that all important donation to help the Louisiana Steam Train Association defray the enormous cost of this freight run. Many thousands of you have seen our post on Facebook and expressed your excitement about this rare event. So think about it! If each one of you turns that excitement about our special steam freight excursion into a simple 1 dollar donation on our GoFundMe page...we would have more than enough money to pay for this once in a lifetime railroad event AND, with any extra money above and beyond the cost of this event, we would be well on our way toward the cost of rebuilding SP 745’s boiler next year as required by the FRA. FINALLY, it’s about to happen! 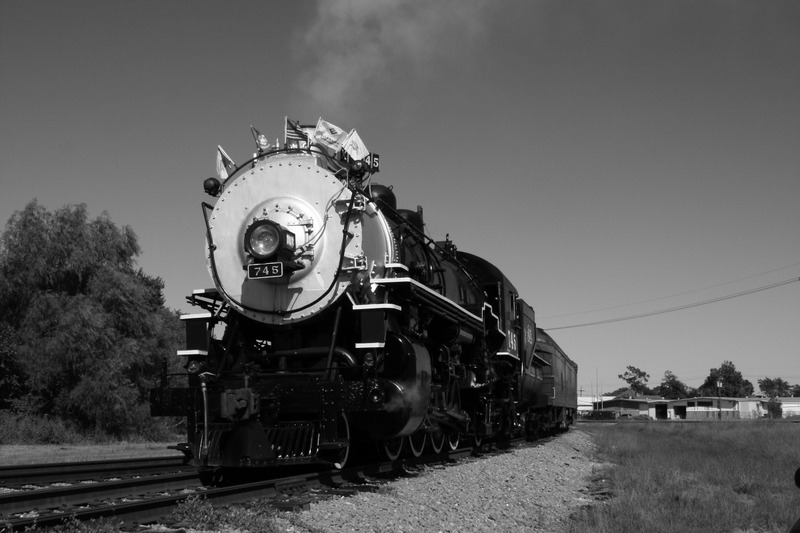 Historic Southern Pacific steam locomotive # 745 will be on the New Orleans and Gulf Coast Railroad between October 8th through the 16th ready to pull an empty grain train. As most of you know in the rail community the uncertain nature of freight schedules make it impossible at this moment to give an exact date and time of when this historic freight run will happen. All we know at the time is that, barring any unforeseen delays, it will take place within that 9-day time frame. So those of you who have been sitting on the sidelines waiting to hear if this historic event will happen now is the time to make that all important donation to help the Louisiana Steam Train Association defray the enormous cost of this freight run. Many thousands of you have seen our post on Facebook and posted your excitement about this rare event. So think about it! If each one of you turns that excitement about our special steam freight excursion into a simple 1 dollar donation on our GoFundMe page...we would have more than enough money to pay for this once in a lifetime railroad event AND, with any extra money above and beyond the cost of this event, we would be well on our way toward the cost of rebuilding SP 745’s boiler next year as required by the FRA.